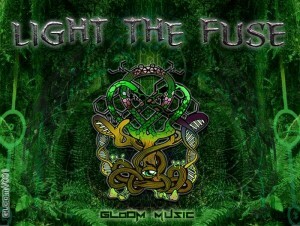 GloOM Music is proud to present Light The Fuse, their debut release, compiled by Awwen, one of the label managers. Based on the territory of Spain and inspired by the darker side of the psytrance sound, this release is focused on the modern styles of twilight, forest music, and groovy darkpsy. Mastered by The Darkface and Multiman with artwork by Espepelen, Acid Raku, and Bam. MP3 Download | FLAC Download | WAV Download · Download count: 13,665. VERY Nice Debut Release !! High Quality from beginning to end. Awesome album. Deep, fast-moving and involved all the way through. Good work, GloOM Music and Basilisk!! This is soooo gooood , Love it! Wooo!! i love it!! go go go Gloom music!!! sorry for excluding the last track, but I thought it don´t fit the mood. Siiick….. working better now.. chaaaama! Great debut album! well done GloOM Music. Great album! very nice job! One of the best compilations here, IMO. It’s so new but at some remember songs so old!!! Wow, that Triplock track is awesome! Real nice compilation. Nothing twilight about this. 100% nightpsy: some dark, non-melodic full on, some forest, some straight up darkpsy. still more straight up ‘darkpsy’ than most of the albums that defined ‘darkpsy’ originally in 2004-2007, funny how that is? What I mean to say is, this is some depressive, cathartic stuff, many emotionally upset samples throughout, it would scare many away! I’ve never heard Multiman ‘gloom out’ like this. His album is far more melodic and bright. Gloom Music is an apt name for this label! Vengaa esa tropa! musicooooooN !